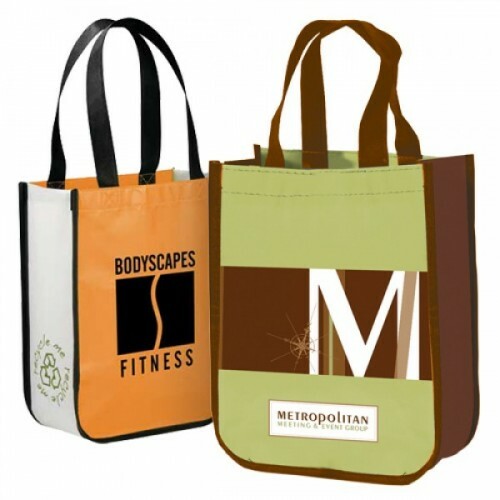 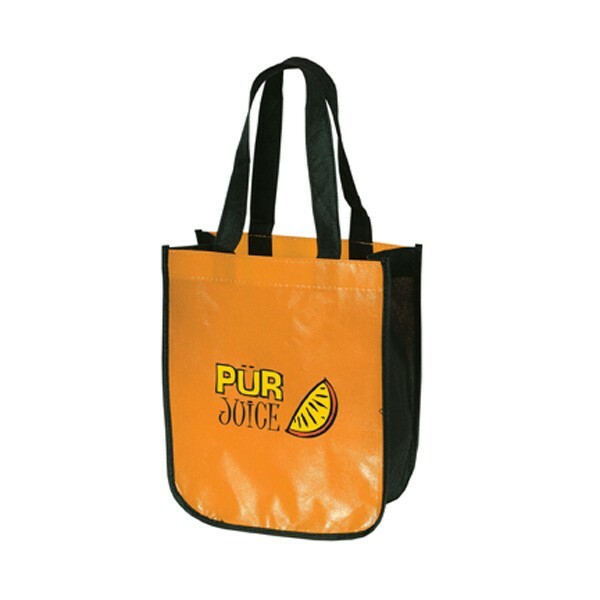 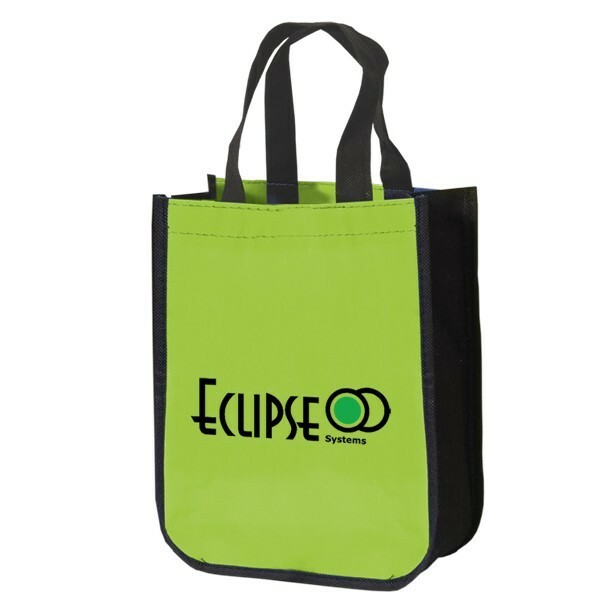 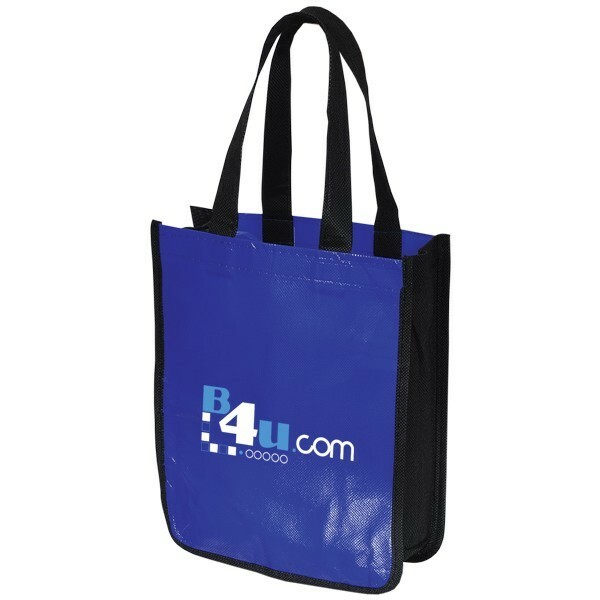 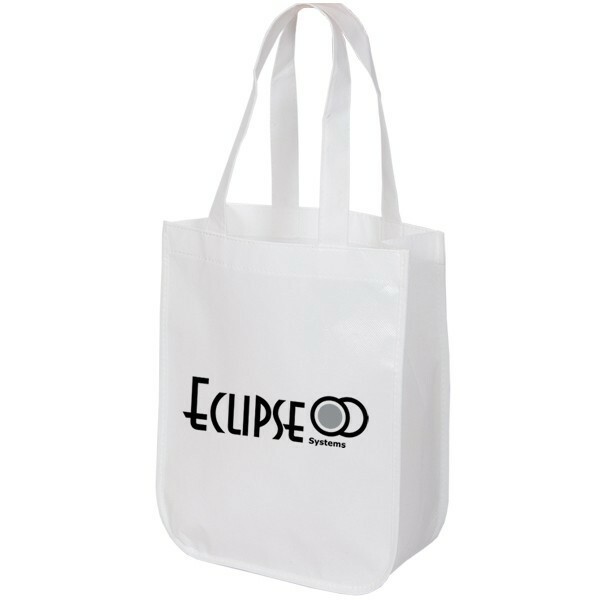 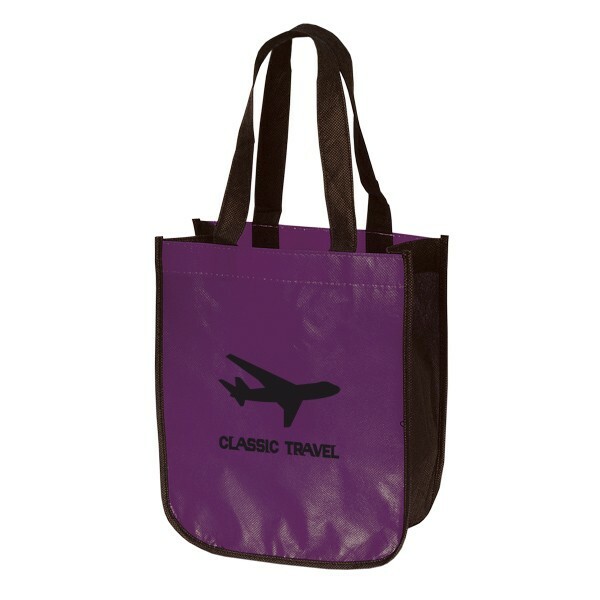 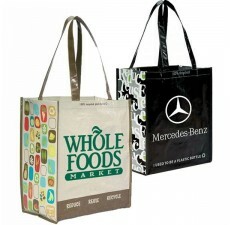 Custom Grocery Bags offers this fashionable recycled tote bag that is made from laminated non-woven polypropylene. 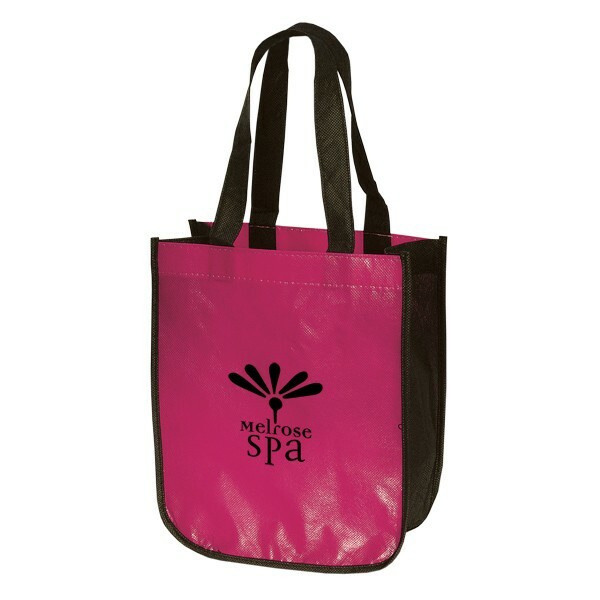 A larger version of this beautiful bag is also available for those who are looking to complete the look by offering two sizes of the same beautiful product. 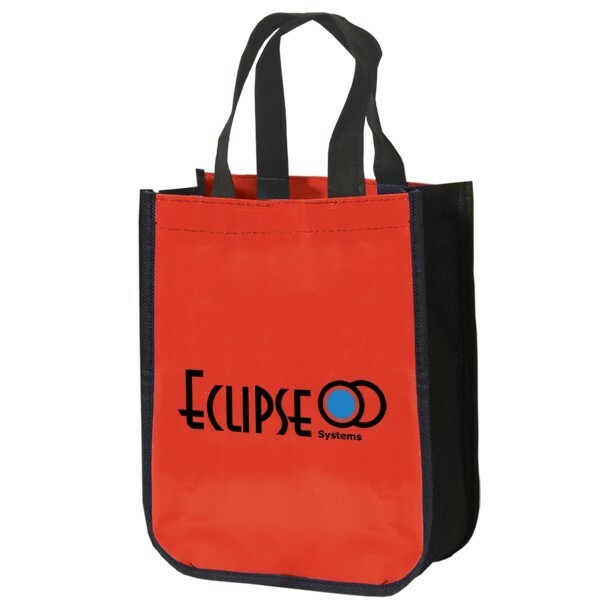 It’s actually smaller than an average-sized tote, and it’s not only perfect for a small grocery shopping trip, but you can also use it as a beach tote or as a gift bag. 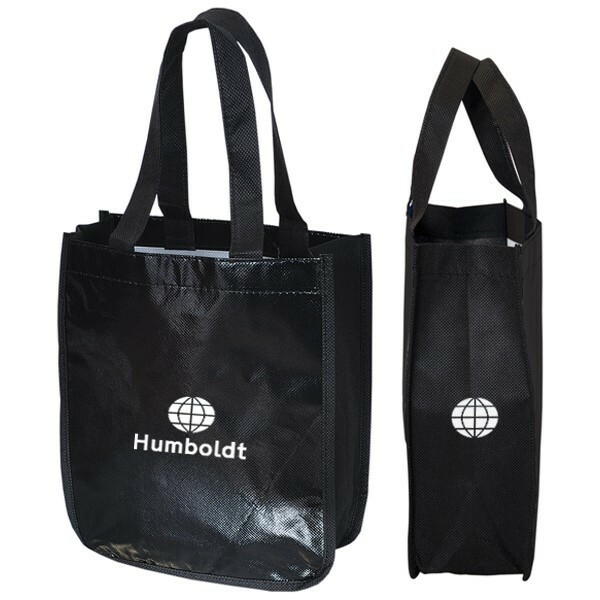 The handles and the gusset are not laminated. 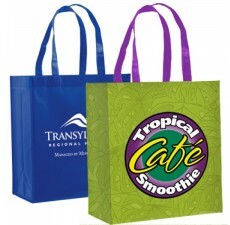 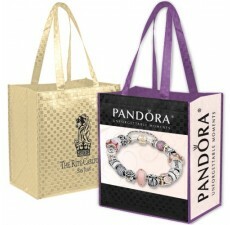 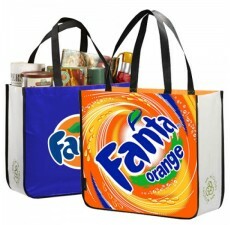 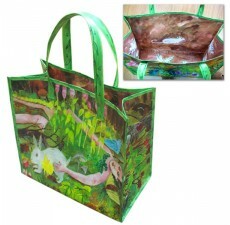 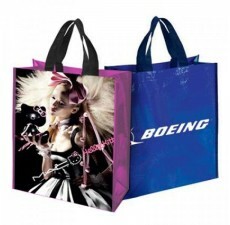 For more information on the customization of this recycled bag, contact Custom Grocery Bags today.